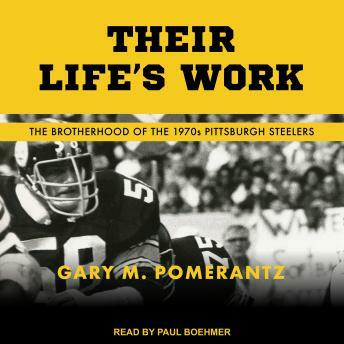 The Pittsburgh Steelers of the 1970s won an unprecedented and unmatched four Super Bowls in six years. A dozen of those Steelers players, coaches, and executives have been inducted into the Hall of Fame, and three decades later their names echo in popular memory: 'Mean' Joe Greene, Terry Bradshaw, Franco Harris, Mike Webster, Jack Lambert, Lynn Swann, and John Stallworth. In ways exhilarating and heartbreaking, they define not only the brotherhood of sports but those elements of the game that engage tens of millions of Americans: its artistry and its brutality. Drawing on hundreds of interviews, Their Life's Work is a richly textured story of a team and a sport, what the game gave these men, and what the game took.